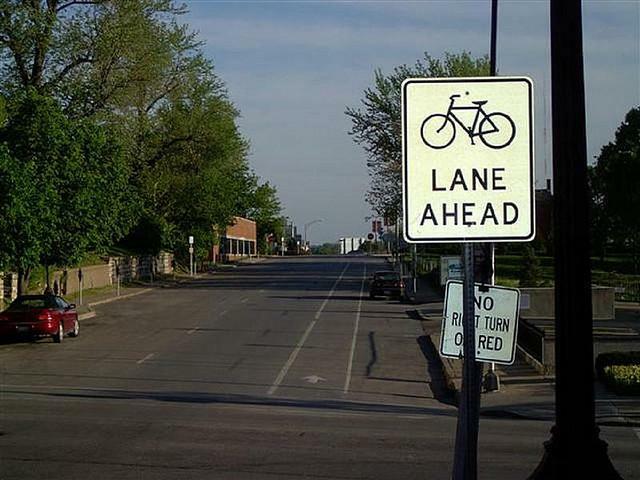 Kansas City, Mo., unveiled plans to add a mile-and-a-half of biking lanes downtown. To accommodate the bike lanes, the number of drivable car lanes on Grand would be reduced from four to two. At a public comment session, Minder dismissed concerns that reducing the number of car lanes would create more traffic congestion. He said that, as the street is currently configured, drivers disrupt traffic flow whenever they turn left. That problem would be eliminated by the creation of a dedicated center-turn lane that would allow through-traffic to flow more continuously. The proposed bike lanes would be buffered from traffic by a strip of painted road separating them from car lanes. Grand Avenue’s exterior parking lanes would be retained. Eric Rodgers, executive director of BikeWalkKC, which advocates for cyclists and pedestrians, applauded the plan as a way to boost development downtown. The lanes are part of the city’s Bike KC plan, which was adopted in 2002. The Grand Avenue bikeway would complete 13 miles of bike lanes connecting downtown and nearby areas, including the Crossroads, River Market, the Westside, West Bottoms and the 18th and Vine District. The Grand Avenue plan is funded largely by a federal Congestion Mitigation and Air Quality grant. The grant would provide 80 percent of the approximately $900,000 needed for the project. The remainder would come from the city. 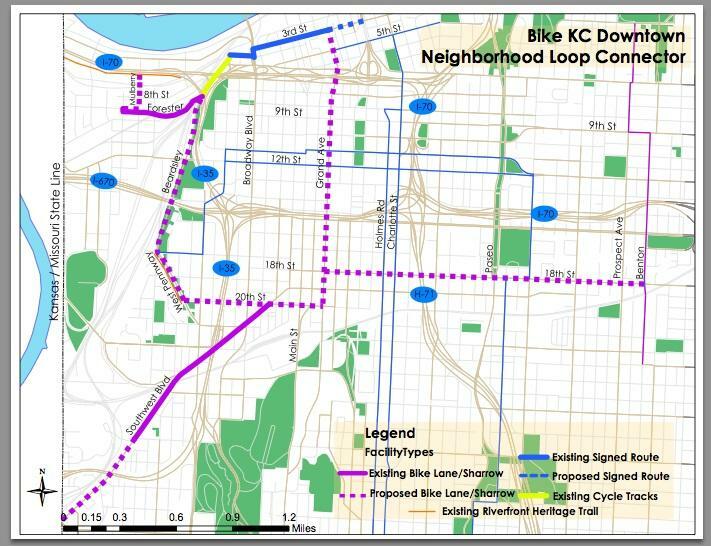 Since launching the Bike KC plan, the city has created more than 50 miles of bike lanes and 352 miles of signed bike routes. Bike-share stations first made their appearance in Kansas City in 2012. Seven more were added last month for a total of 21 citywide. 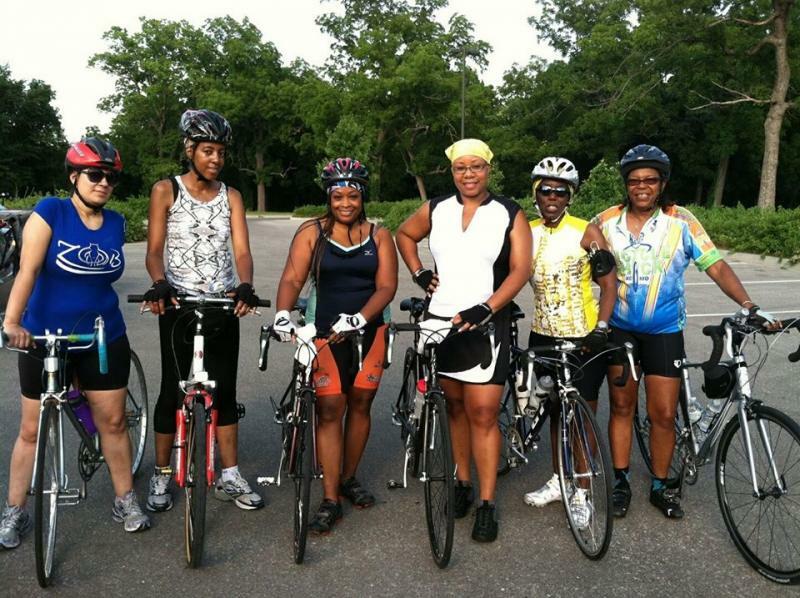 Kansas City earned a bronze designation as a Bicycle Friendly Community from the League of American Bicyclists in 2011. Then-mayor Mark Funkhouser announced the goal of winning a platinum designation by 2020. Rodgers described the platinum designation goal as “really ambitious” but achievable. “To get there, we’re going to need to do a lot more things like Grand (Avenue) in all parts of the city.” Rodgers said. The Public Works Department is taking public comment until Friday, December 5th. Officials say they anticipate the Grand Avenue project will be completed by fall 2015.